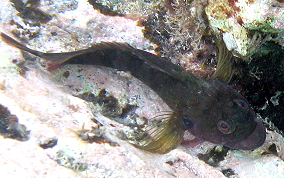 The Hairy Blenny is quite a character. 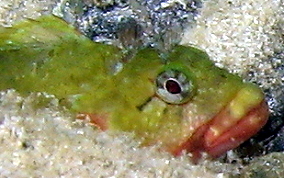 Big google eyes stare at you from their protective areas. 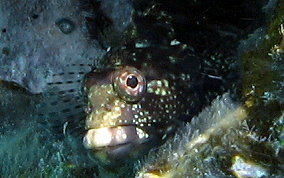 the males and females look different as do the juveniles and the courting males. 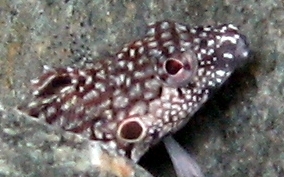 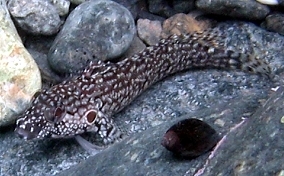 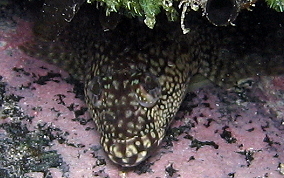 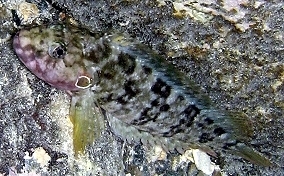 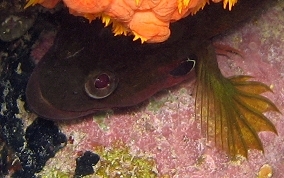 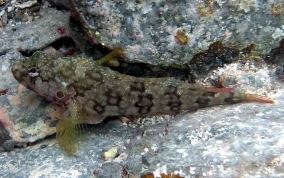 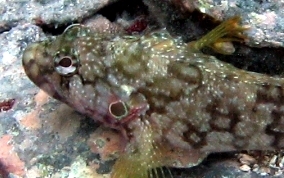 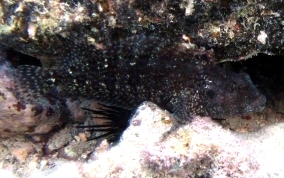 They are the largest blenny in the Caribbean region. 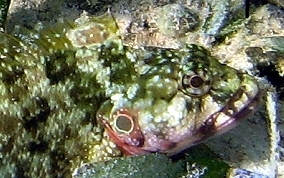 they will stay still unless you get very close. 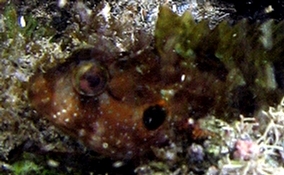 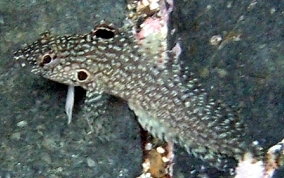 The easiest way to tell a Hairy Blenny is the round dark spot on their gill cover. 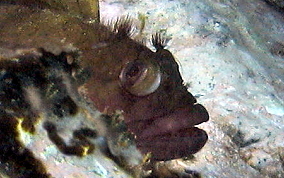 The Mimic Blenny is very good at looking like a Hairy Blenny.